The word pumpkin originates from the word pepon , which is Greek for “large melon”. The French adapted this word to pompon, which the British changed to pumpion and later American colonists changed that to the word we use today, “pumpkin”. The origin of pumpkins ( also known as Pepitas) is not definitively known, although they are thought to have originated in North America The oldest evidence, pumpkin-related seeds dating between 7000 and 5500 B.C., were found in Mexico. Some are encased in a yellow-white husk, although some varieties of pumpkins produce seeds without shells. Like cantaloupe, cucumber, and squash, pumpkins and pumpkin seeds belong to the gourd. 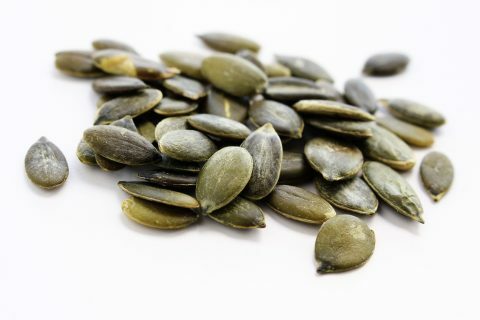 Today, the leading commercial producers of pumpkin seeds include China, Ukraine, Austria.